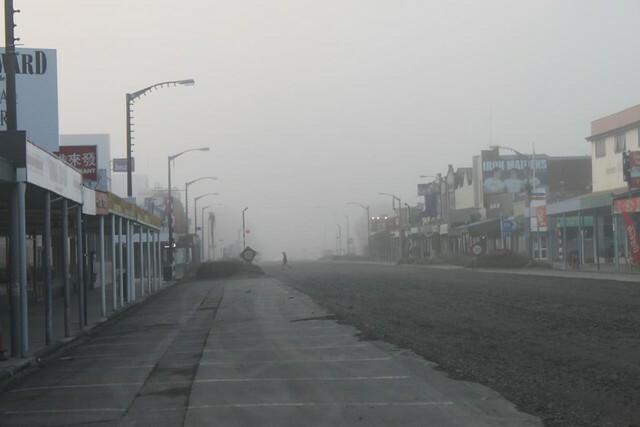 The mornings in this part of New Zealand are cold and foggy. 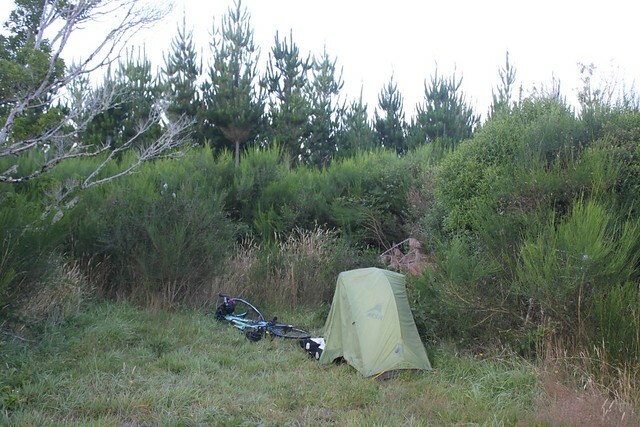 I had found a camp spot a few kilometers out of Taihape. With the first light I was cycling back into town looking for a cup of coffee to warm up. An hour later the sun had cleared the morning fog as I was cycling towards the central plateau of the North Island. 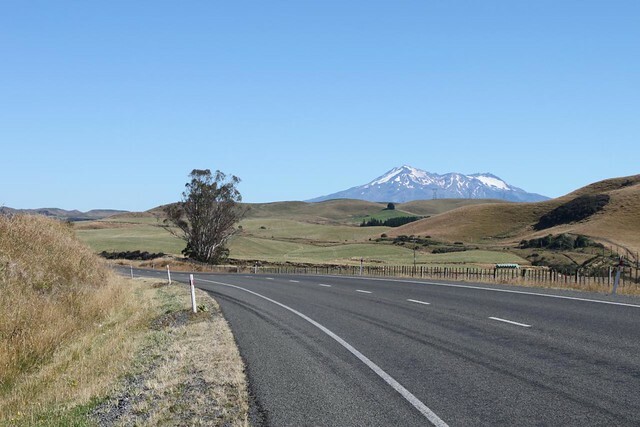 I was heading for the so called Desert Road leading up to the Tongariro National Park. As the name suggests the road is rather deserted for a while, but after having crossed the Australian outback that was not really something that worried me. 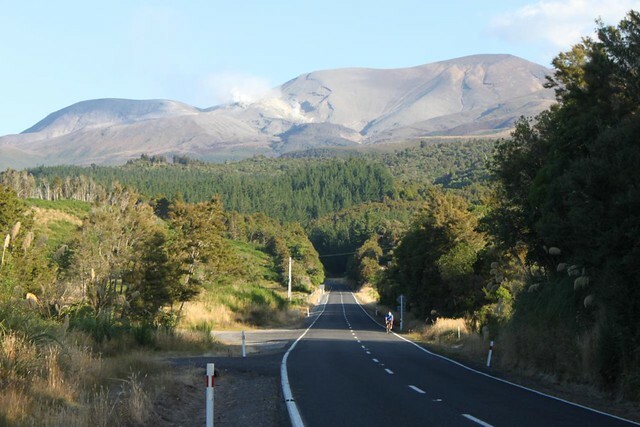 My plan was to do the Tongariro Alpine Crossing hike. I had read great descriptions of the hike but as I got nearer I saw what appeared to be smoke erupting from the volcano! I wondered if it would still be possible to do the hike, remembering how I spent my 28th birthday on top of a very active volcano in Java, Indonesia. 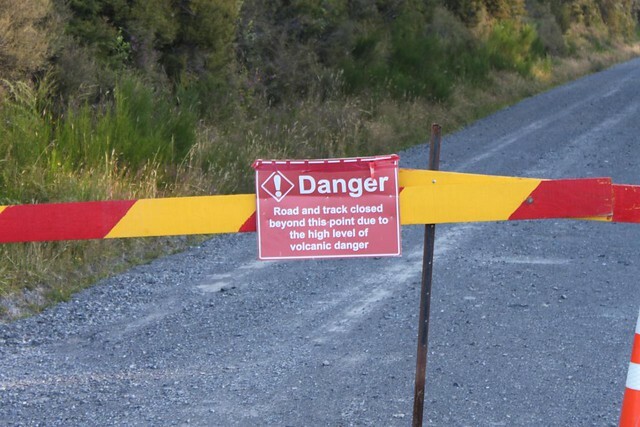 It turned out that New Zealand is more regulated than Indonesia as the track was definitely closed. I guess I should have done a little research and visited one of the numerous tourist information’s I was passing on the way. I had looked forward for the hike and was somewhat disappointed that I wouldn’t be doing it at this point. 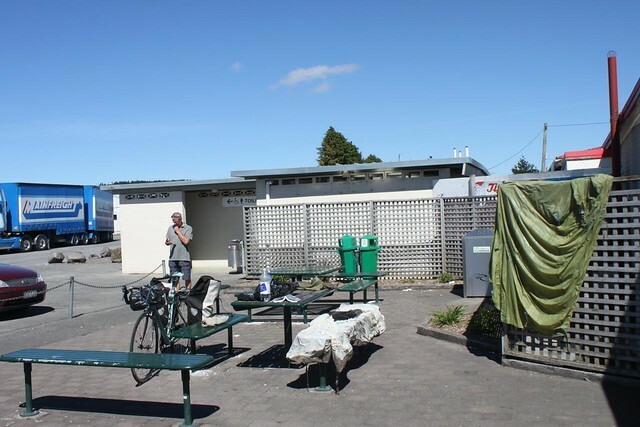 On the other hand I’m sure there will be more beautiful spots in NZ to come.